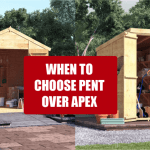 Whether you have recently purchased a summerhouse or are looking to buy one, there could be a lot of questions you may have. Alternatively, there may also be a number of aspects you haven't considered. Whether you have recently purchased a summerhouse or are looking to buy one, there could be a lot of questions you may have. Alternatively, there may also be a number of aspects you haven’t considered. For instance, where you are going to place your summerhouse, which summerhouse is best for you, or even how to maintain your summerhouse in the future. Therefore, this ultimate guide could be the perfect tool to help you learn everything you need to know about summer houses. 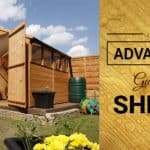 How can Summerhouses be used? Summer houses are wooden outdoor garden structures that live outdoors and are used in many different ways. Usually, the outdoor structure features felt or tiled roofs, a number of large windows and doors allowing significant amounts of light to shine through. Some summerhouses include porch steps, verandas or canopies to help extend the front of the summerhouse. Summerhouses that are larger are typically designed in a similar style to that of log cabins. Summer houses are available in many different styles. But what is the difference between them all? For those with an eye for more stylish and modern designs, contemporary summerhouses are your best bet. This is as interlocking tongue and groove boards can help create a smooth and clean aesthetic appeal. Not only a useful addition to any garden, considering the number of uses a summerhouse can entail, contemporary summerhouses could also help give your garden that modern edge. For many, the classic, traditional look of a summerhouse is what appeals to them rather than contemporary. Featuring Georgian windows and the common apex roof shape, traditional summerhouses are naturally suited to those not wanting to let go of the past. Often, finding a summerhouse to fit into the most obscure spaces in your garden comfortably can be a difficult task, especially when garden parameters are continually changing as landscapers begin to get more adventurous. This is where corner summerhouses are at their most useful. Specially designed to fit into a corner you can make the most of all of your available garden space. Most often, corner summer houses will feature two opening side windows as well as double doors which work together to provide you with a panoramic view of your garden, all year round. 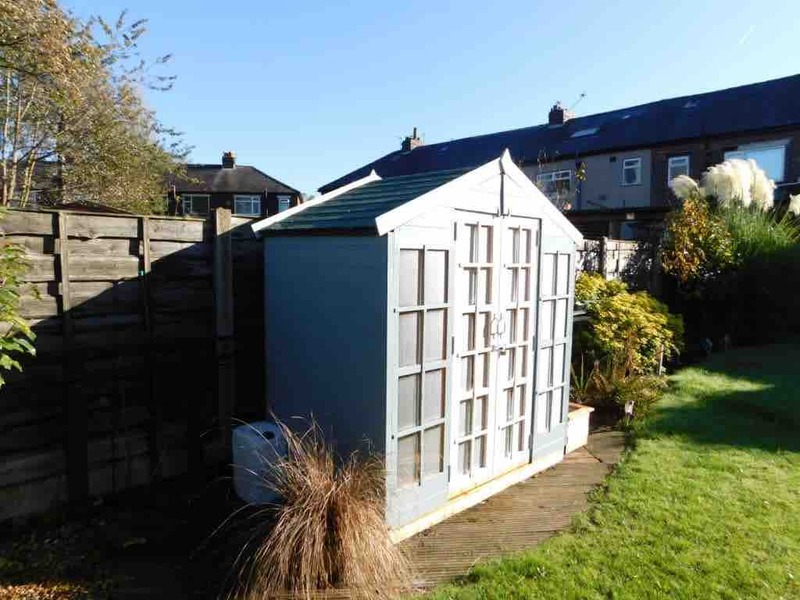 Ideal for those with limited space in their garden, a small summerhouse can measure as small as 6’ x 4’. Small summer houses could be perfect to use as a small quiet place to relax or even as somewhere to store your outdoor furniture over the colder months. Not only are small summerhouses convenience, but they can also be a budget-friendly option. 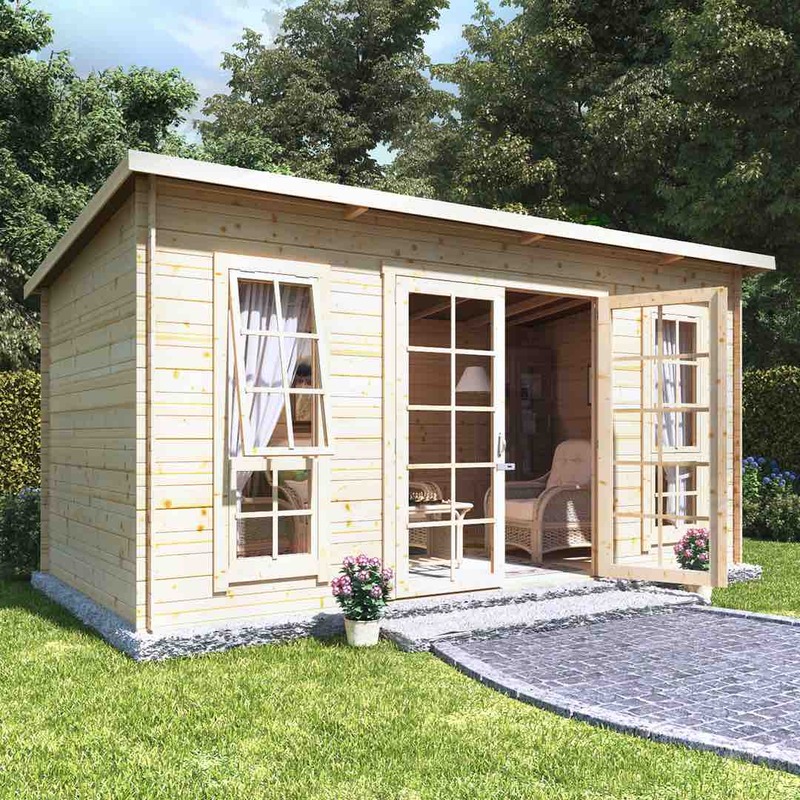 For a more luxurious style of summerhouse, log cabin summer houses are an enticing option. 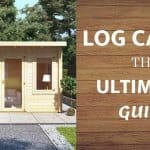 Log cabin summerhouses will not only look more magnificent in your garden, but the log cabin construction may also provide you with a strong, sturdy outdoor building made to withstand harsh weather conditions and built to last. 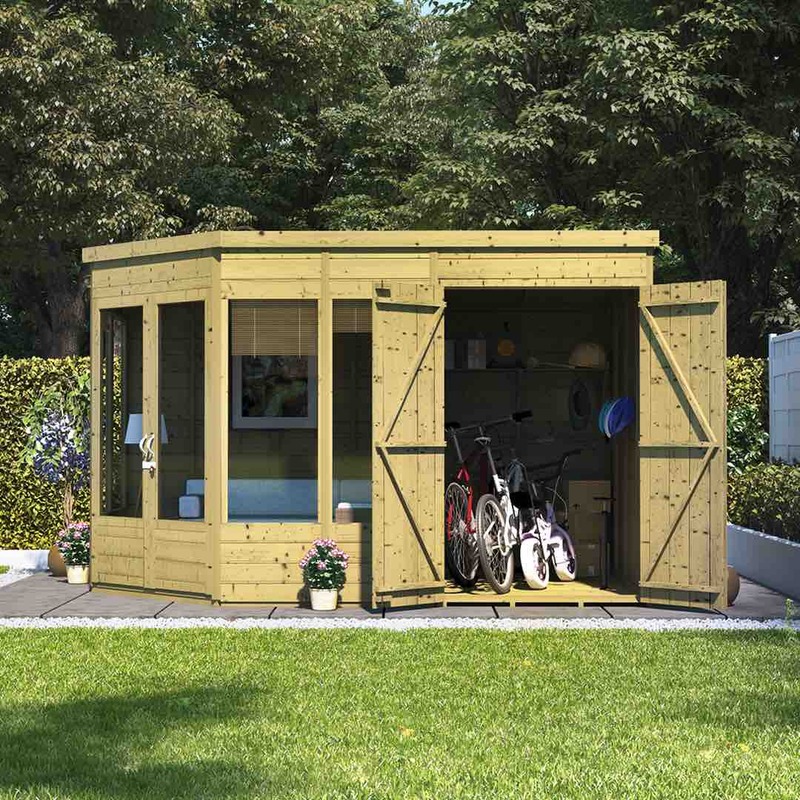 Summerhouse sheds could either be the perfect place to escape and relax or a convenient place to store your outdoor garden tools. Or even both at the same time. 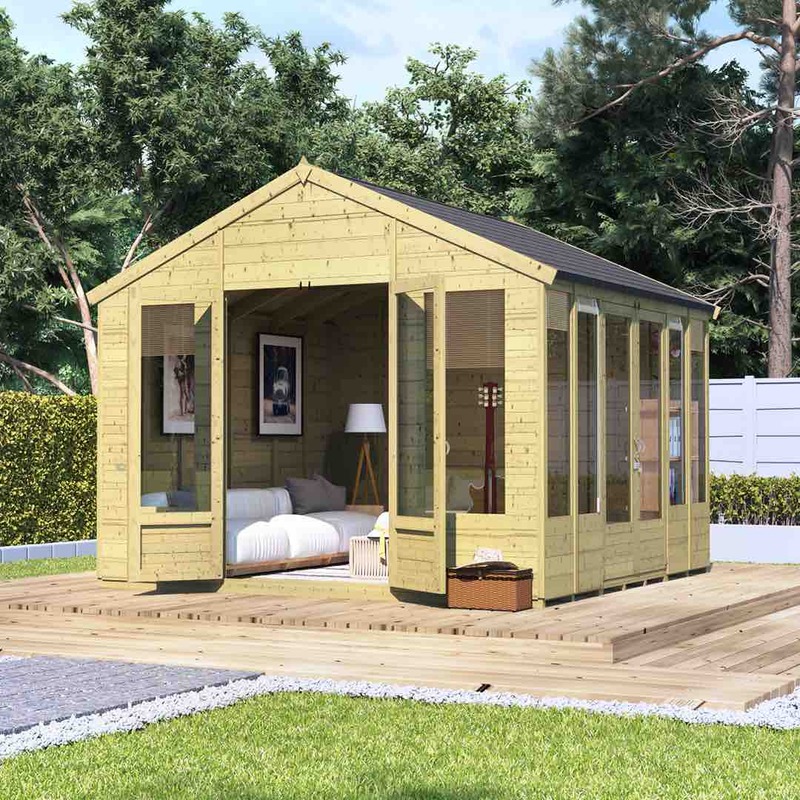 Some summerhouse sheds have a combined side store, ideal for couples, small families or new homeowners. 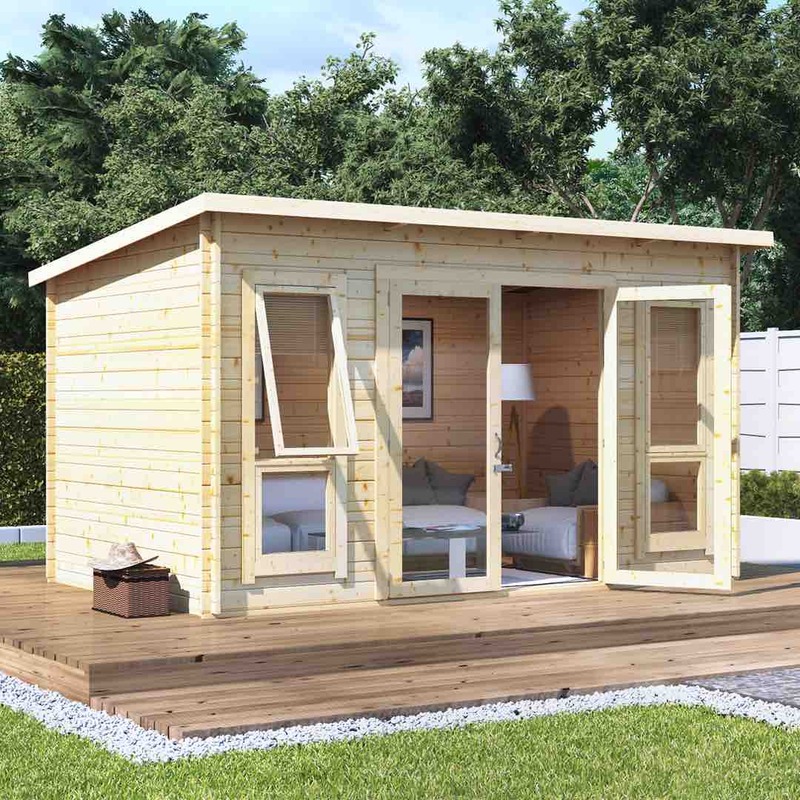 Summerhouse sheds are an ideal solution for those wanting two different garden buildings without having to compromise on garden space as they are combined. There are many ways summerhouses can be used. Some of these are the common conventional ways whereas some may include out of the box ideas. However, perhaps you have a great idea of what you want to use your summerhouse for with no ideas how to decorate it. Why not take a look at our favourite 10 ideas for decorating a summer house. As with many outdoor garden buildings, summer houses can be the best place to store your outdoor toys, furniture and gardening tools. 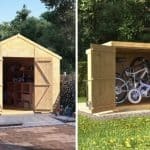 This is as it provides a means of shelter for your belongings to protect them against any harsh weather they may otherwise face. You may also turn the summerhouse into an organised shed by installing shelves and many other organisational tools. 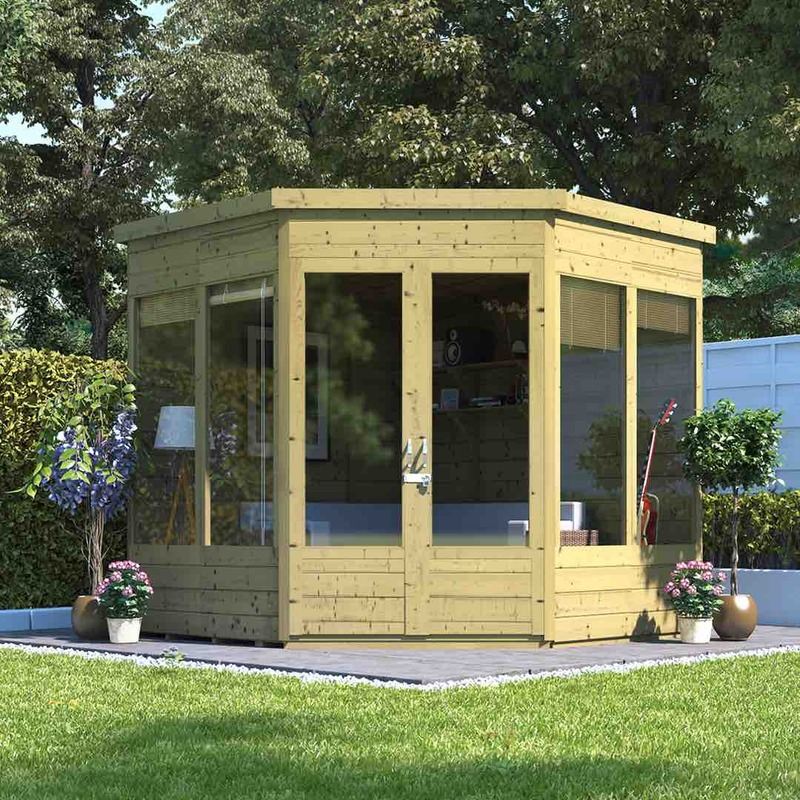 Summerhouses could be the ideal workshop space. This is because of a large number of windows offering a panoramic view of the outside and the double doors allowing the outdoors to creep into your workshop. 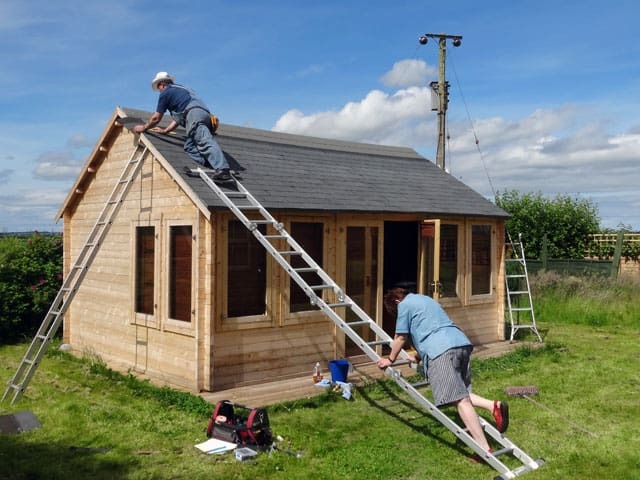 Furthermore, large summerhouses can provide you with the opportunity to install work benches and racks to keep your tools safely organised. 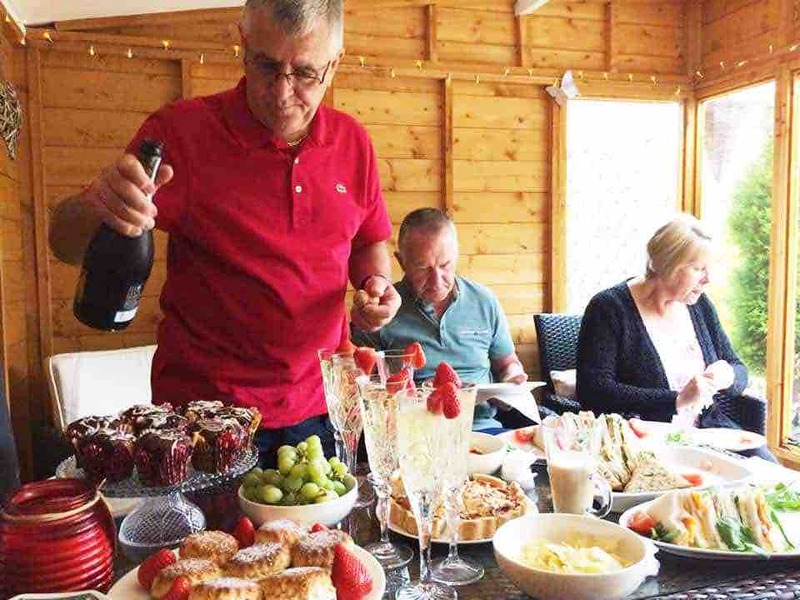 If you are a keen party thrower but are getting bored of your usual dining/living room a summer house could become the favoured eating spot. Merely filling your summerhouse with a comfy dining set and fun decorations could efficiently wow your guests. Why not even install a surround sound system in the summerhouse to play your favourite party music. As many of us struggle to work from home because of the distractions such as television, pets, family or even just the thought of staying in bed, a home office is ideal. 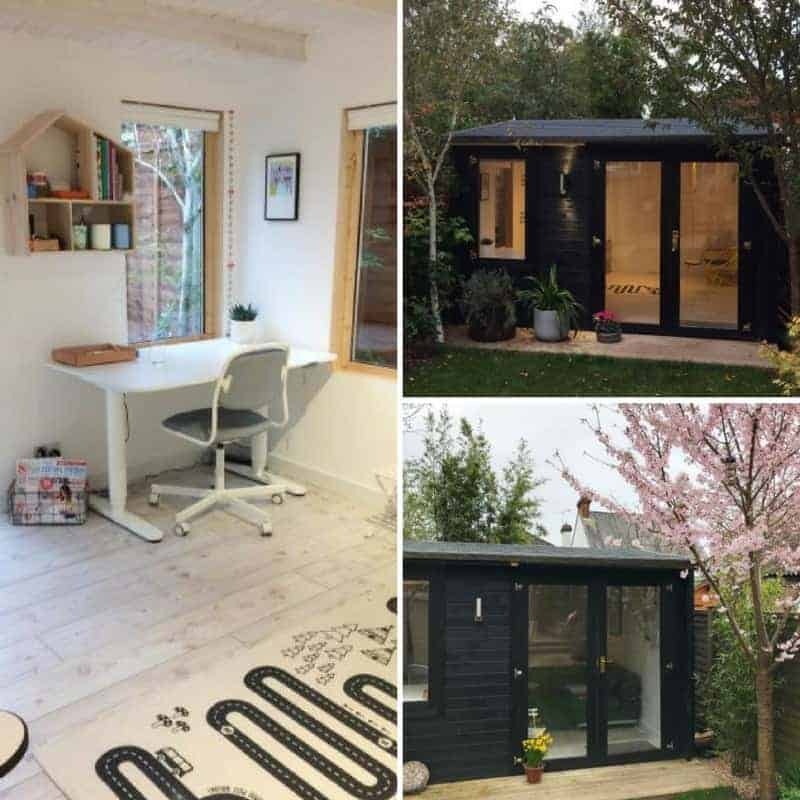 A summerhouse hidden away at the bottom of your garden could be used as an idyllic location to reply to the ever-growing number of emails as well as to carry out your daily admin tasks. Include a sturdy desk with a comfy desk chair and working from home may never have been easier! As we Brits know, getting a chance to play outdoors in the sun is not always possible thanks to our recurring rain. 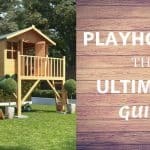 Therefore, installing a summerhouse play area for the children is a great way to get the kids out of the house for a few hours so you can do the house chores in peace. 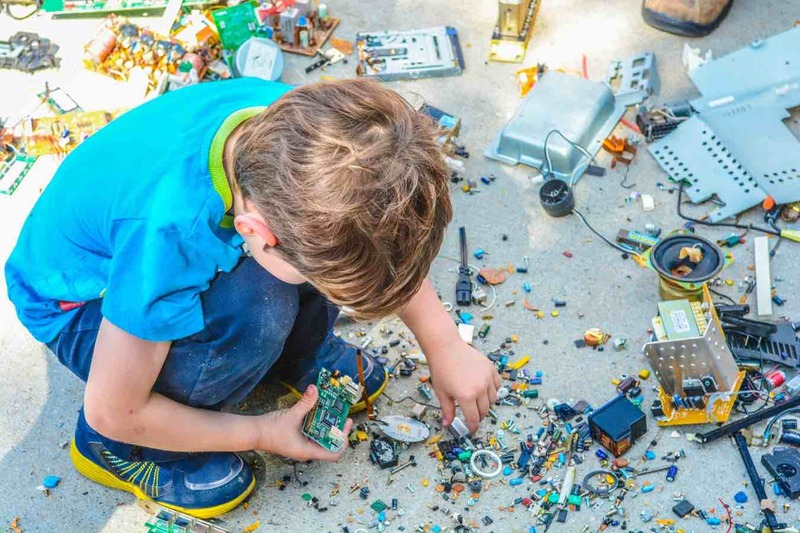 Lots of toys to play with or even a comfy sofa with a TV to watch their favourite movies may make your kids want to spend more time in their than inside the actual house! Maybe you want a place to relax and call your own. Decking the summerhouse out with a comfy recliner chair and a bookshelf full of your favourite books could quickly help you to escape to a world of your own. When thinking about treating yourself to a new summer house, considering where you are going to position the building and whether it is the right size for you is essential. Ideally, your summer house wants to be facing south. However, it is crucial to observe how the sun moves through your garden throughout the day. Also, make sure to bear in mind what time of day you are likely to be using your summer house. For instance, your desired summer house spot may get a significant amount of sun in the mornings and a small amount in the evenings. 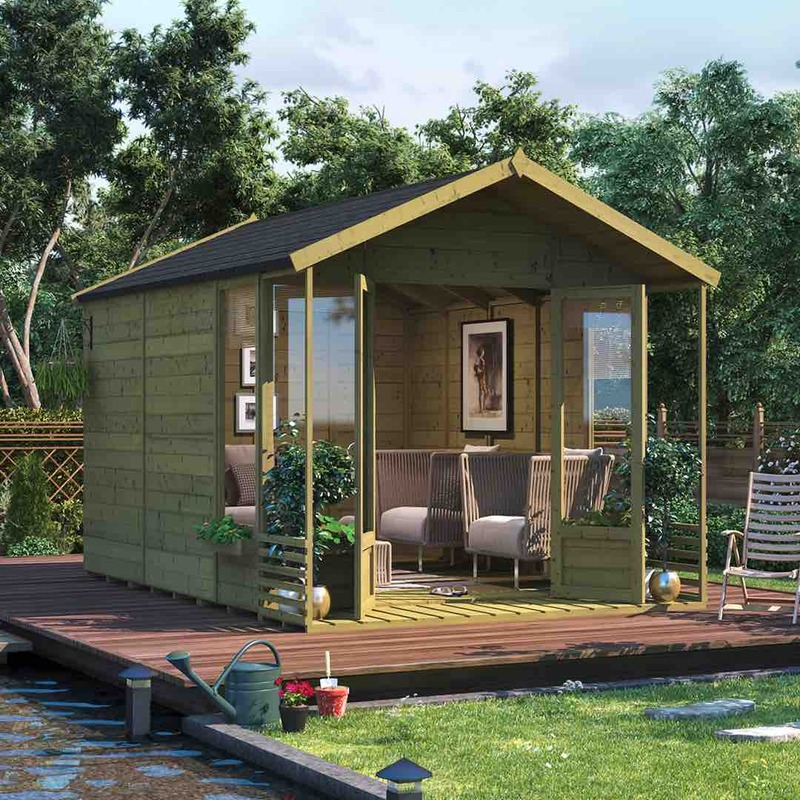 Depending on whether you are likely to use the summerhouse in the morning, afternoon or all day will determine if your selected location is suitable. Most summer houses are classed as “permitted development” and therefore means no planning permission is required. However, there are many circumstances which may need you to apply for planning permission. Considering these example conditions, as well as some smaller circumstances it is best to take a look at your local council website. This will allow you to investigate whether a summer house is allowed in your garden before making your purchase. As summerhouses are classed as temporary structures building regulations are unlikely to apply. Although, if you are planning to require plumbing in your summerhouse or are wanting to run electronics into your summer house it is best to contact your local authority Building Control Department. Can I build a summer house myself? If you are experienced at DIY, you will be able to assemble the summerhouse yourself. However, this may require additional tools and may be a more than one person job. It may also take a number of hours so be sure to allow for this when purchasing your summerhouse. There’s nothing worse than purchasing your summerhouse but not looking after it. Maintenance is essential in ensuring you can enjoy your summer house for many years to come. Here are some simple summer house maintenance tips to make this easier for you. Applying treatment to your summerhouse can help ensure the summerhouse is protected against harsh weather conditions and may help the outdoor building last a long time. We offer pressure treated options as we want your summerhouse to be easy to maintain while entertaining you for a large number of years. However, pressure treated or not; it is essential to keep an eye on your summerhouse. Ensuring a regular clean of your summerhouse is an easy way to keep an eye on the condition of your building. When cleaning, look out for any splits that allow light through. If you find one, you should fill it with a wood filler. This will reduce the chance of water entering the summerhouse. Investigating the roof, floors and walls of your summer house is crucial, This is as holes, tears and splints are all likely common problems to encounter. For instance, heavy winds may rip or tear your summerhouse roof covering. Whereas the floor may deteriorate if it is placed on an uneven base. Imagine this; you enter your summerhouse with a big smile on your face, ready to escape the world and relax in your own company. You open the door, and to your horror, a humongous spider is on the floor. Unfortunately, you are terrified of spiders, and there is no one around to help you. So what do you do? Well, there are a number of methods you can carry out to prevent insect and pests from entering your summerhouse. These include minimising water, keeping surrounding vegetation to a minimum by cutting trees as well as using pesticides around the perimeter of your summer house. Damp is the last thing you want in your summerhouse as this could turn your building into your favourite place into a place to avoid. Not to mention it has the potential of destroying any items in your summer house. To avoid damp, keep surrounding trees, shrubs or foliage to a minimum. In addition, in the even of snow make sure to remove it from the outside of the summer house. This is as once melted, it can expose your summerhouse to damaging moisture. On the other hand, in the warmer months, make sure your summerhouse is kept ventilated. You can do this by regularly opening the windows and doors to prevent condensation. It is important to remember that wood is a natural product. It is therefore common for small splits and cracks to appear. In some cases, you may also notice holes where knots have shrunk and fallen out. This is as once constructed your summer house will have retained part of its natural moisture content. Therefore, over time, the wood will dry out which has the potential to cause natural shrinkage. 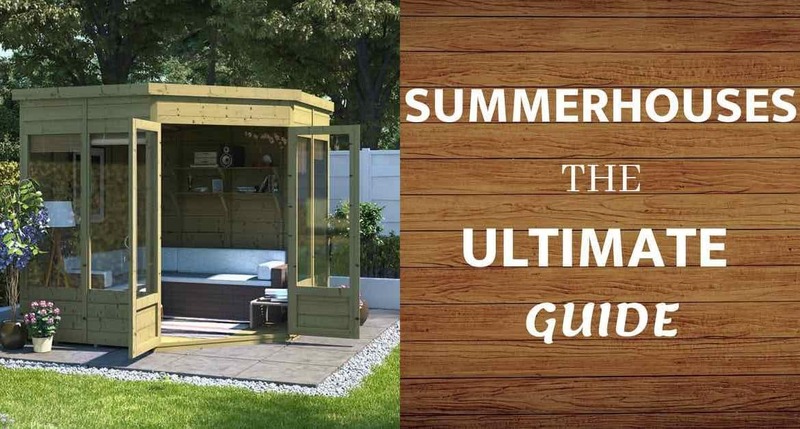 Overall, after reading this guide you should hopefully have a greater knowledge of all things concerning the popular summerhouse. From which style is best to how you should go about maintaining your summerhouses. However, if you are still unsure which summerhouse is best for you, you can hear from our customers directly.